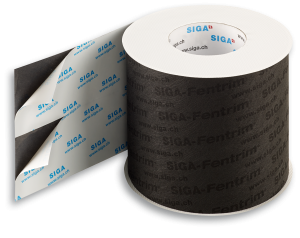 Fentrim F tape for exterior flashing is the latest addition to the SIGA Tapes line. Fentrim F is a black, fleece-backed tape, offered in a variety of widths ideal for window flashing and sealing on the exterior. 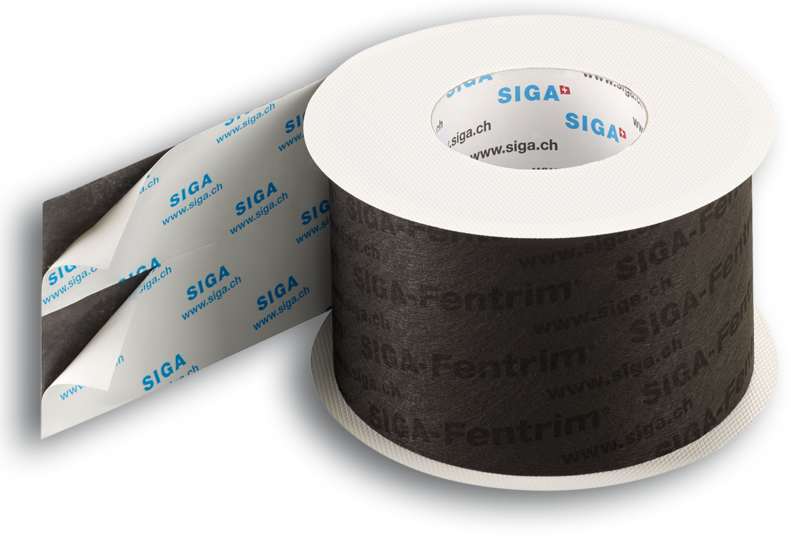 Fentrim F is designed to be used as a flashing tape, lending its unique structure to bind to mixed substrates without the use of primer. Even on masonry, Fentrim F’s aggressive acrylic adhesive bonds in high and low temperature conditions. The material is tear-proof, split-release, and allows for fast and quick application. Fentrim F is designed for long-term use and permanent moisture management. 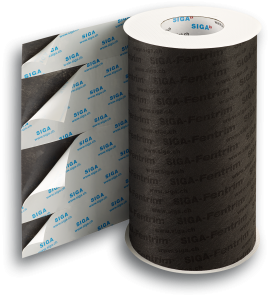 It is UV stable and eliminates the need for additional primer material (typically used with SIGA Wigluv). Fentrim F can be used in place of SIGA Wigluv for exterior applications. HOW IS FENTRIM DIFFERENT FROM WIGLUV? 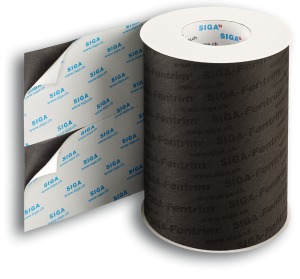 Fentrim tape has more adhesive per square inch, which allows the tape to be used on a variety of un-primed materials and surfaces. Fentrim is designed with a more rugged felt material that is slightly different from Wigluv, thus Fentrim holds up better to abrasion. Its stretching capacity is similar to Wigluv. The Fentrim F line of SIGA Tapes is available for purchase on www.sigatapes.com.